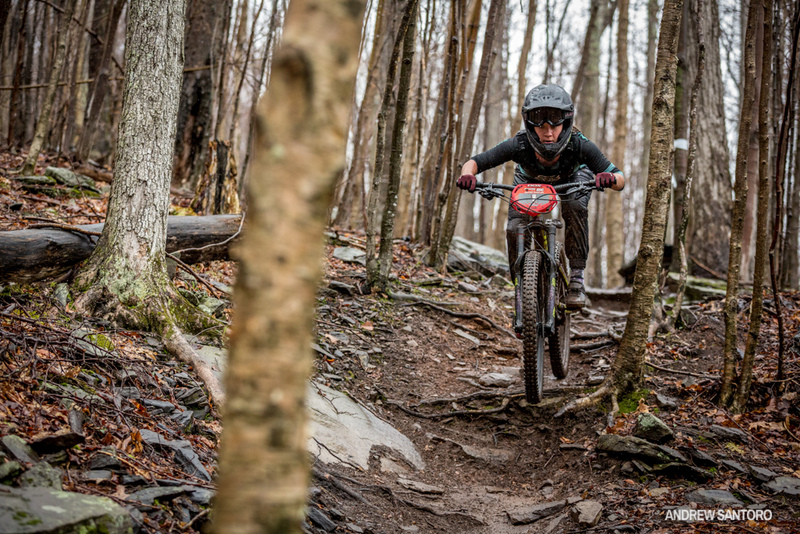 Like a racer at the top of a track anxiously awaiting the starter's countdown, the much-anticipated 2019 Maxxis Eastern States Cup season is about to get real. Despite cruel reminders from your thermometer a new race season is not far off and the Maxxis ESC crew is putting the finishing touches on a packed schedule of top-notch events. This is the 10th anniversary year for the Eastern States Cup series and race director George Ulmer is rededicating himself to providing fun, competitive events for racers of all ages that build a stronger bike community in the northeast. We'll get to the all-important schedule in a moment, but here are some new highlights of the upcoming season: In addition to Maxxis tires returning as our top sponsor and offering their legendary tires as prizing, we have a couple new bike sponsors! The downhill series will be known as the Maxxis ESC Intense DH Series with Intense Bikes coming aboard as a title sponsor. The Maxxis ESC is one of a handful of race series that will participate in the new Intense Cycles Podium Payback Program. This promotion pays additional cash to the top five men and women pros and awards the top five amateurs Intense Store Credits. “Intense was built on racing, and we are proud to be offering this program in support of Privateers who ride Intense bikes at Maxxis ESC races and other key regional series this summer" said Jenn Gabrielli the Chief Rider Experience Officer at Intense. To qualify for these additional payouts you need to race an Intense bike and register online. Click HERE for details. There's even talk of some of the Intense Factory racers attending an event or two so keep your eyes out for some big guns on the hill. 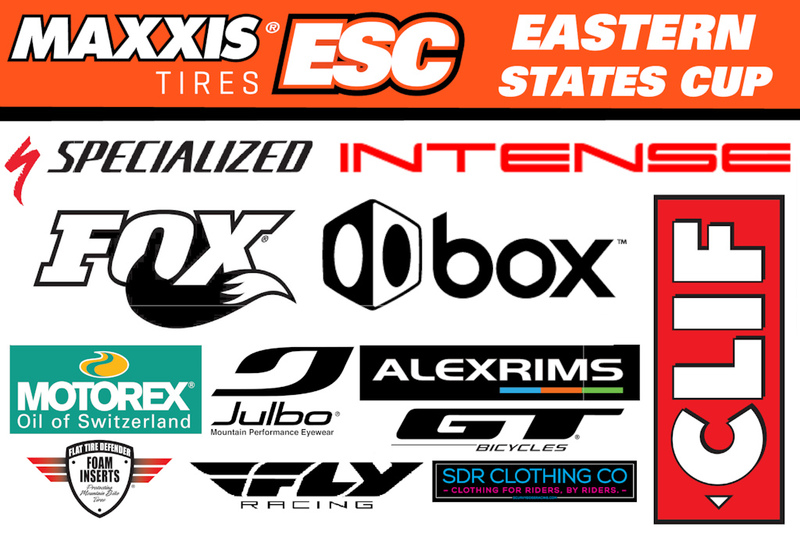 On the enduro side, the series will now be known as the Maxxis ESC Specialized Enduro Series with Specialized Bikes bringing their wealth of product knowledge to our growing northeast enduro scene. Longtime race regular Dave Richards will be at our events as a Specialized ambassador. After a wildly successful inaugural season, the CLIF Kid's Class is back. 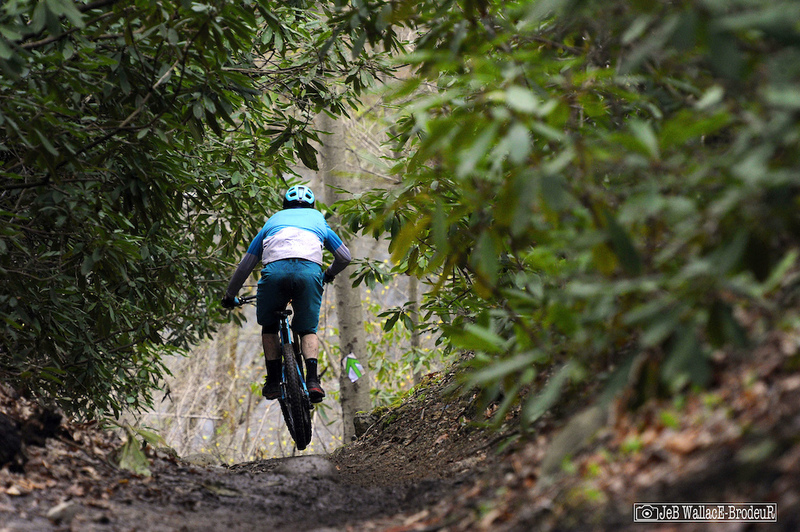 This program provides free enduro or downhill race entries to racers age 12 or younger. Everyone knows bike racing carries some financial burdens but this Clif program takes some of the sting out for families with youngsters wanting to get involved. 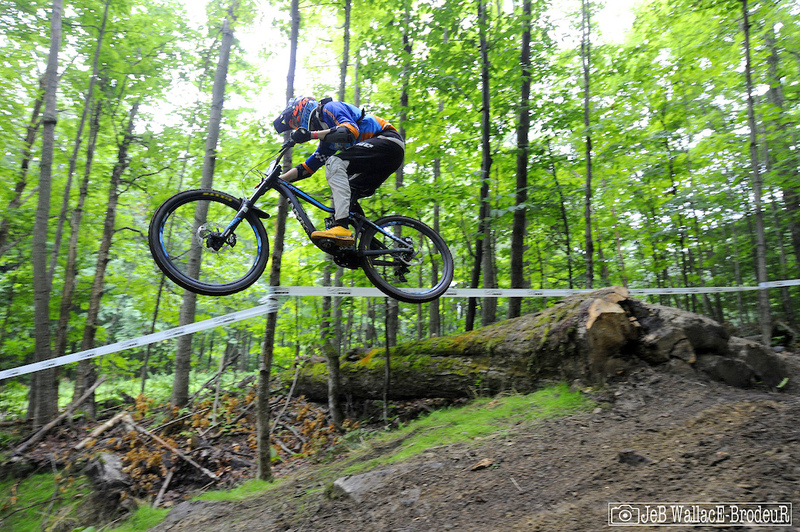 On a similar note, the CLIF Enduro Lite race returns to Burke Mountain in Vermont on August 25th. 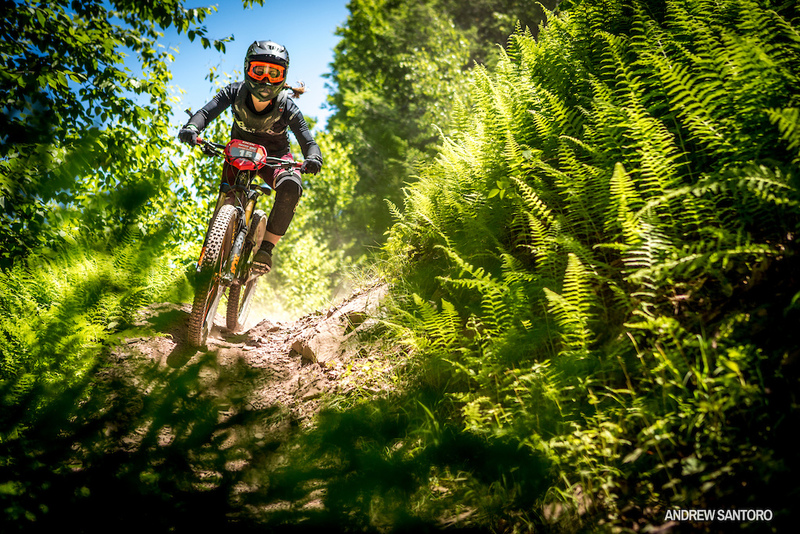 This easy-going introduction to enduro racing has proven hugely popular and is a fun way to get introduced to the sport. Warm up the trolls, eBikes are coming to the Maxxis ESC! At selected ESC enduros this season there will be separate eBike races for those with an inclination towards a battery boost. 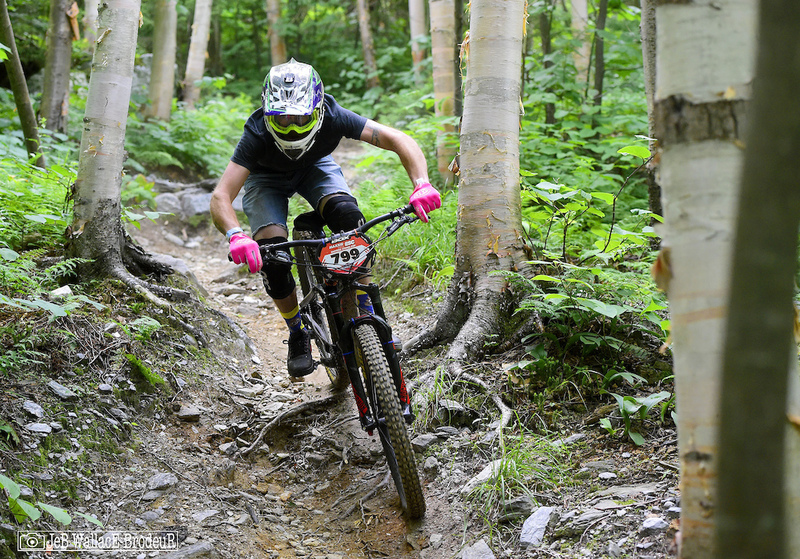 Additionally there will be an entire eBike festival at Thunder Mountain with a variety of races and events revolving around this growing segment of the bike world. The two-day CLIF Enduro East events are on hiatus this season as we focus on our core group of local racers. However, three of our enduros will still be Enduro World Series Qualifiers and allow racers to accumulate points towards an EWS invitation. As always, racers interested in moving into the EWS ranks must have an EMBA license to accumulate points. Here are a few final technical nuggets that will please racers this season: Pro payouts are going five deep on the podium instead of four as in past years. We will be using cutting-edge Air+ fly by timing at all our enduro events and have contracted with professional timing services for the next three years at out downhill events. Lastly and importantly, no USAC licenses! We again assert our independence from the red tape of governing bodies and pledge to keep racing easy and affordable by not requiring any licensing at our events. DIAMOND HILL Enough with the suspense, lets take a look at the venues for this upcoming season! The season kicks off on May 5th with a return to Diamond Hill in Rhode Island. 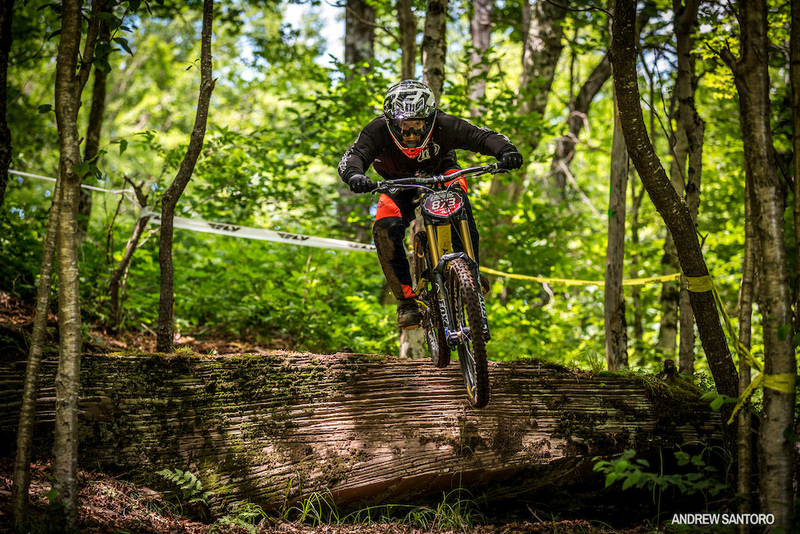 The ESC series raced Diamond Hill in 2016 and was immensely popular, breaking the 200 entrant mark for the first time in the ESC enduro series history. The venue has been missing from the schedule for the past two seasons but is poised for a triumphant return in 2019. If you haven't been or even heard of this network, its a real gem, especially early season. Rhode Island isn't known for massive vertical relief (its highest point is only 812 feet above sea level) but the Diamond Hill network punches far above its weight class with plenty of rock features, some long cruising stages and generally legit terrain. This is sure to be a big crowd pleaser and a great way to get your bike legs back as we kick off the season in a few short months. Glen Park will be the second enduro of the season on May 19th. Glen Park, located in Stroudsburg, Pennsylvania, has been the opening Maxxis ESC event the past two years and has become a favorite stop for many racers. It has been ridden for years by locals and is considered one of the original freeride/downhill spots on the East Coast with many features dating back to the 90's. The park's vertical is modest but the tracks make good use of the available terrain and yield some surprisingly challenging segments, especially when you factor in the pedal-only transfers. This will be the first of our three EWS Qualifier events, so bring your A-Game if you're looking to step up to the next level. The first BOX Components Showdown weekend, combining enduro and downhill racing, will be at Thunder Mountain on June 9th. 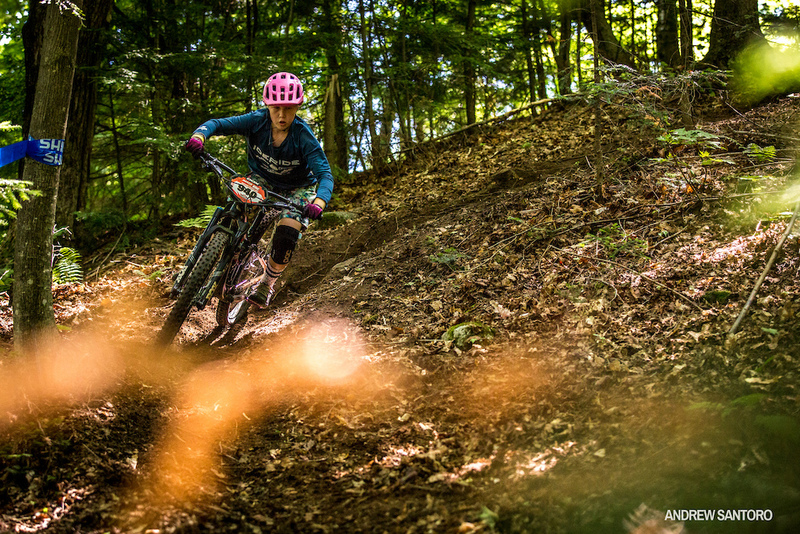 This Berkshire bike park continues to improve on its already impressive offerings and a wealth of nearby singletrack networks allow enduro course designers to keep things fresh. 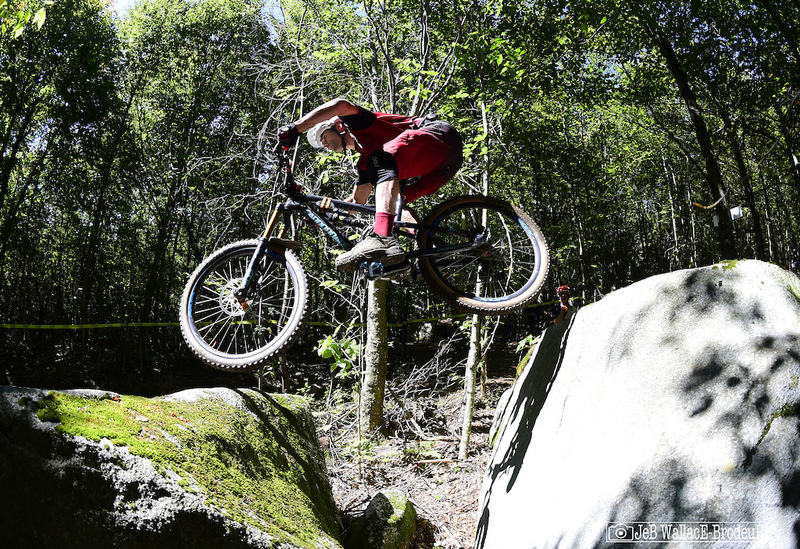 The Schist has developed a reputation as a fun and challenging test for downhillers but organizers have a few different options when it comes to putting together the first track of the year for the big-bike crowd. Thunder Mountain will also host the Maxxis ESC Enduro Finals on October 6th. The finals will be a double-point event and the last EWS Qualifier, talk about high stakes! A couple weeks later the BOX Showdown series continues at Blue Mountain in Palmerton, Pennsylvania on June 23th. Blue has been a staple of the Maxxis ESC diet for years and enduro and downhill racers rave about the terrain quality with endless rock gardens and features. The enduro tracks can range from two minute sprints to six-plus minute beasts and the rugged downhill track takes a toll on bodies and bikes. ESC regular Adam Morse, who raced every EWS stop last season (beautifully documented in his Working Man's World Series episodes on Pinkbike) rates Blue Mountain near the top of his all-time favorite race venues, don't miss this one. 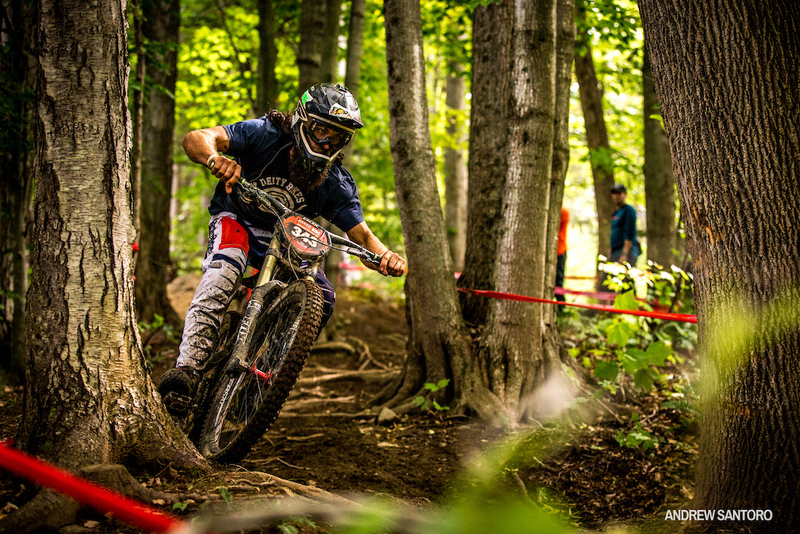 Enduro racing resumes on its own at Burke Mountain in Vermont's Northeast Kingdom on July 7th. This will be the first visit to Burke for the Maxxis ESC series. The venue has hosted our Enduro East two-day events the past couple seasons but this will be a chance for our wider race community to experience one of the finest networks in the country. This will also be the second of three EWS Qualifiers and should bring out a big crowd. If you are able, book an extra-long stay, there is a boat-load of world-class single track in the area. On July 14th the series returns to Plattekill in New York. This is sacred mountain biking ground. Colorful accounts of the shale-strewn hillsides of this rowdy little resort color tales from anyone who has had the pleasure to ride here. The mountain is literally a spider web of tracks, some new and some forgotten, some just waiting to be unearthed again. Those tracks will be put to good use as the Maxxis ESC series will be making three stops at Platty. 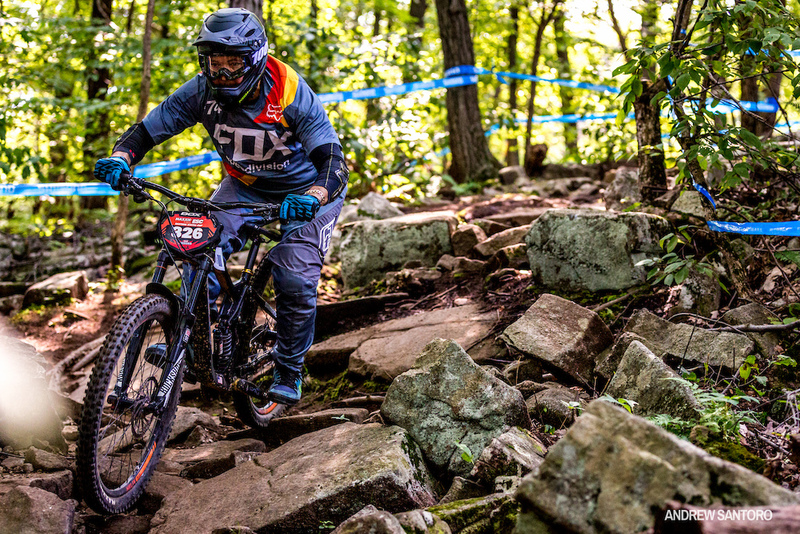 On July 14 and August 18th there will be BOX Showdowns for both disciplines and the Intense Downhill Series Finals will be held there on October 20th with double points up for grabs. 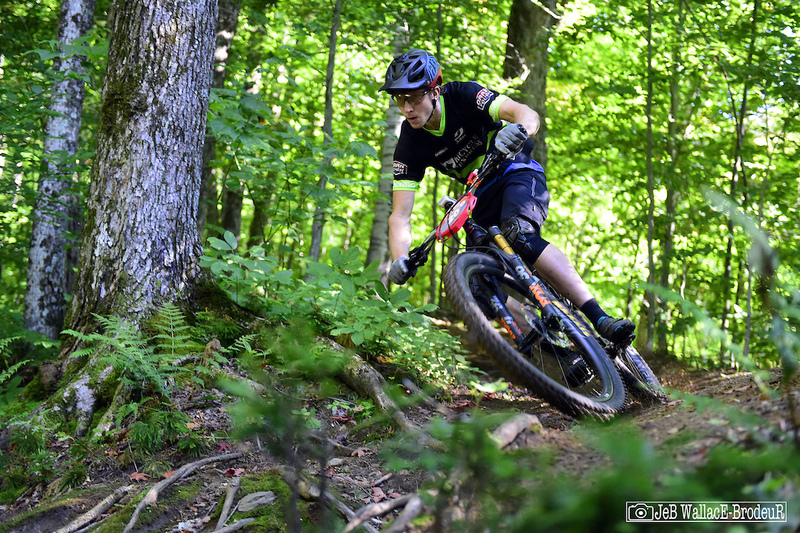 Sugarbush Resort, in Vermont's Mad River Valley, is one of the less-frequented bike parks in the region but is at the top of many riders' favorite race venues. The venerable downhill track in particular has perhaps the best variety of challenging terrain in one run for our entire series. This is a big mountain with some lengthy lines. The mountain will host a BOX Showdown on July 21st. After a brief hiatus last season, the Beast of the East returns to the Maxxis ESC schedule with a BOX Showdown weekend on August 4th. 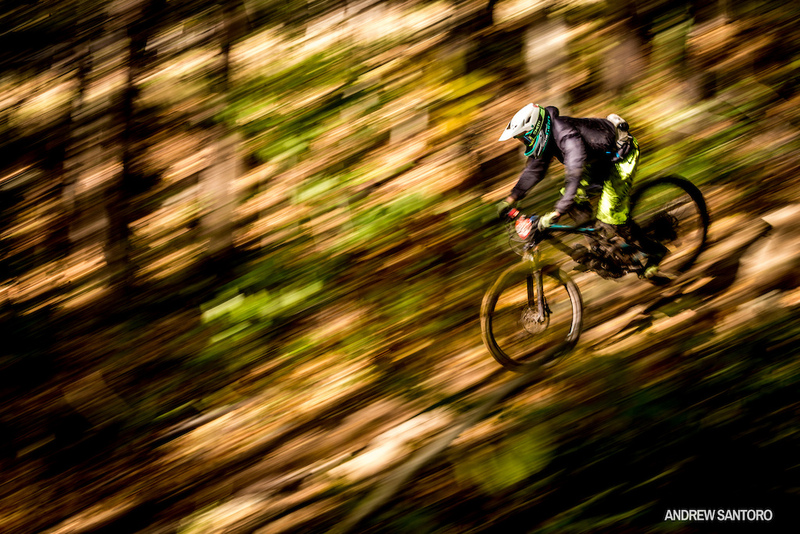 Killington's bike park credentials have been rising faster than the return on an over-pressurized dropper post of late. Every year brings new trails and tweaks to classic lines. With three lifts and a huge swath of acreage to play with, racers will be faced with a smorgasbord of terrain on this weekend. This network in Vermont's Northeast Kingdom is a stone's throw from the world-renowned, and often crowded, Kingdom Trails network but is light years away in its vibe. Secluded and raw, Victory Hill is fast becoming one of the best riding destinations on the East Coast with miles of singletrack and unique natural features. The enduro crew will have the place to themselves on Sept. 8 when the trails are typically riding their best. This is the third and final pedal-only enduro and racers will have no excuses if they show up out of shape this late in the season. The final BOX Showdown of the year will be at Mountain Creek in New Jersey. Rocky and rough, Mountain Creek has hosted many of the world's finest racers over the years and boasts some of the most uniquely technical tracks in the East. The racing goes down on September 29 and will be a fitting final stop before the finals of both series. As previously mentioned, the Maxxis ESC Specialized Enduro Series will culminate with a double-points final at Thunder Mountain on October 6th. The enduro series offers 12 events and a rider's eight best results will count towards the overall title. 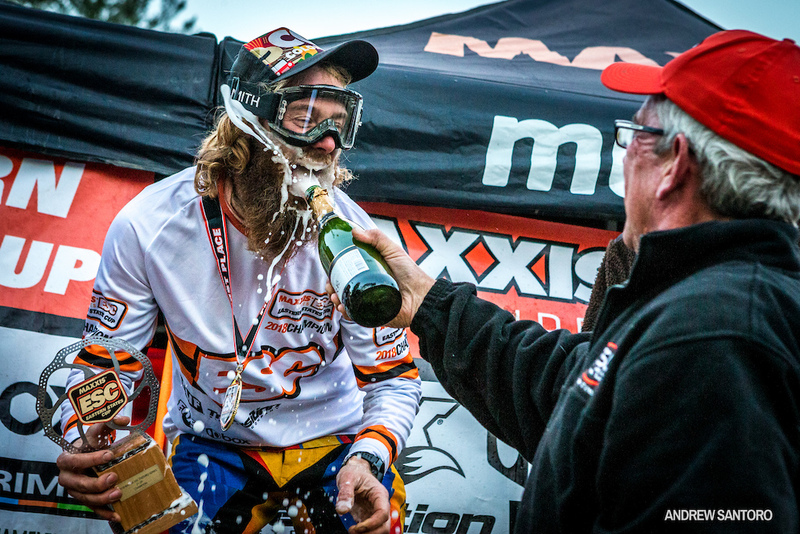 The Maxxis ESC Intense Downhill Series will wrap up with a double-points final at Plattekill on October 20th. Racers' top six results from the eight-race series will count towards the overall title. All enduro racers are automatically entered into the FOX Transfer Seatpost Climber’s Challenge competition with no extra fees. The seatpost will be awarded to the fastest Amateur on a preselected climbing transfer. The fastest in every class also get some cool FOX swag. The timed transfer does not count in the overall race time. All Racers are automatically entered into the Alex Rims SuperR Stage competition with no extra fees. Two Alex VOLAR 2.7 enduro/all mountain rims will be awarded to the fastest male and female Amateur on the super stage, while the fastest in every class gets some cool Alex Rims swag. All Racers are automatically entered into the Flat Tire Defender Super Stage competition with no extra fees. One Flat Tire Defender foam tire insert will be awarded to the fastest male and female Amateur on the super stage and the fastest in every class gets a Flat Tire Defender drawstring backpack. The fastest racers in every class through the FLY Speed Zone at downhill events are awarded a FLY aluminum waterbottle and the fastest man and woman amateur will receive a certificate for high end FLY Racing gear. Motorex will be back extending all podiums with 4th and 5th place prizing! It's great to get more racers on the podium and in Pinkbike. 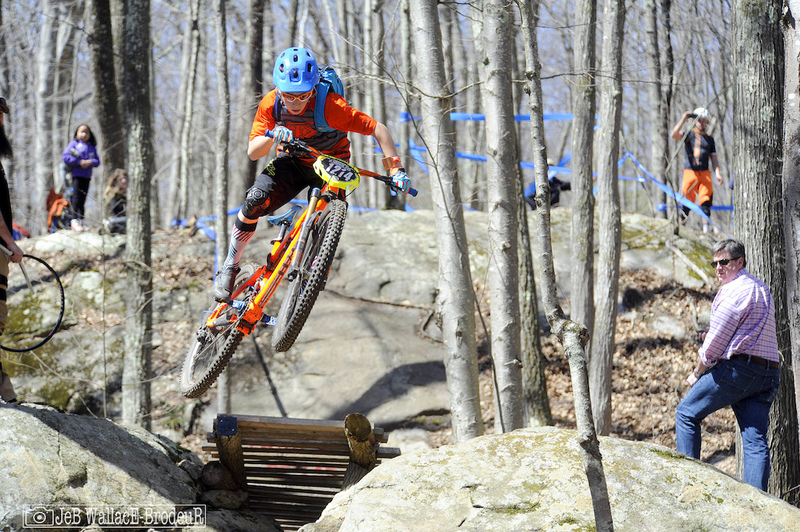 Maxxis Eastern States Cup events have always been known for their quality. The crew is dedicating this 10th anniversary season to a focus on the racing community, growing the series from within and most importantly fun. Every venue will offer camping and the shared racing experiences will convince everyone the ESC community is one big family. Aug 25 Burke Mountain - Beginner Enduro Racers - Families - Kids - Fun !